Sink into incredible comfort with this plush, traditional Dublin living room collection. 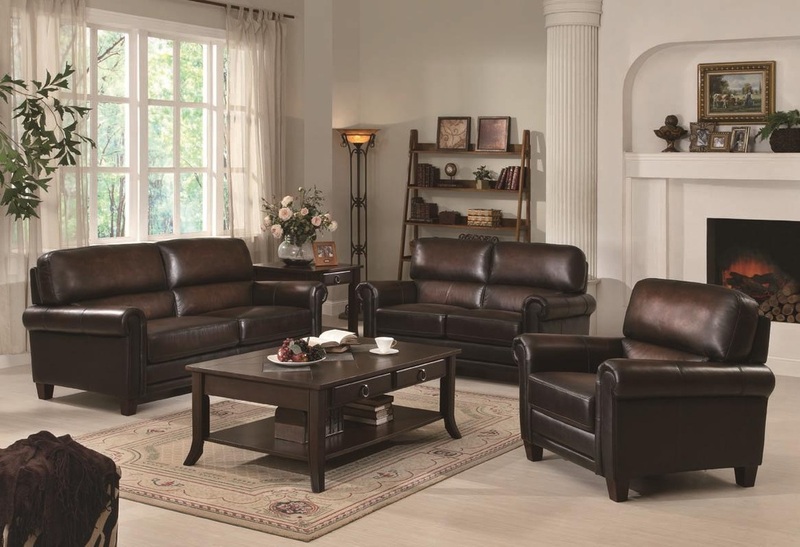 Rich brown upholstery is a top grain leather for flexibility and long-lasting appeal. Double paneled cushioned seats and plush rolled arms on each piece provide you luxurious comfort. Constructed with a solid hardwood frame and exposed block wood feet, this collection will retain its beauty, structure, and comfortability for years to come. Practical and sophisticated, this Dublin living room collection will update your living style and ensure ultimate comfort.